Parks are on the rise in Stanton, CA, with several new spaces opening in just the last few years. With 10 public parks covering roughly 25.5 beautiful acres, Stanton is the perfect place to spend time with family and friends enjoying the outdoors. Take Stanton Park, for example. Located at 11111 Cedar Street, this open space features a fun playground for children, several picnic shelter and tables for an afternoon meal, along with a drinking fountain and public restroom. Get in shape by walking, jogging, biking, or skating the paved trails or host a fun birthday party for your little one and their friends. Directly behind the park is the Norm Ross Sports Complex, where you and your team can challenge others to a game on the lighted soccer field or any of the three lighted softball diamonds. Bring your gear and your lucky shirt for a fun day of competition. If you’re more interested in sports on the courts, take a trip to Stanton’s Zuniga Park on Date Street. Featuring a full basketball court and a handball court, Zuniga is a great place for athletes. Plus this park has a full playground and a large open field for a variety of other outdoor activities. You might be wondering why we at Norm Reeves Honda Huntington Beach care about parks in Stanton. Well, the answer is actually pretty simple: We care about helping the people of our community and the neighboring communities discover new things. The main way we do that is by helping drivers and families like you find a high-quality and reliable vehicle. With our selection of used and pre-owned cars, we can help you find the vehicle you need to get to and from work, drop off the kids at school, or plan a weekend adventure. Let our friendly sales consultants guide you through our pre-owned inventory and schedule private test drives of the vehicles you like. Then allow our thorough finance department work with local banks and find a financing plan that’s right for you. Even after you drive home in a great pre-owned car, our trained service technicians will be here to help take care of any routine maintenance or service that your vehicle needs to keep it running smoothly. 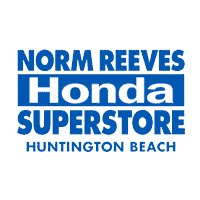 Getting to Norm Reeves Honda Huntington Beach is easy. Just get on Beach Boulevard and head south for about 8 miles, depending on where you start. If you’d prefer to have detailed directions from a specific location, use the interactive map on our website. While you’re there, be sure to look at our current inventory of pre-owned vehicles. You can learn about the cars engine, mileage, and other information in addition to schedule a test drive or estimate your monthly payments. At Norm Reeves Honda Huntington Beach, we are a used car dealer near Stanton, CA, that you can count on.